This image was inspired by several artworks of M.C. Escher. Here we can see inspirations of such his artworks as "Belvedere", "Day and Night", "Drawing hands", "Sky and Water", "Still life and street" and others. 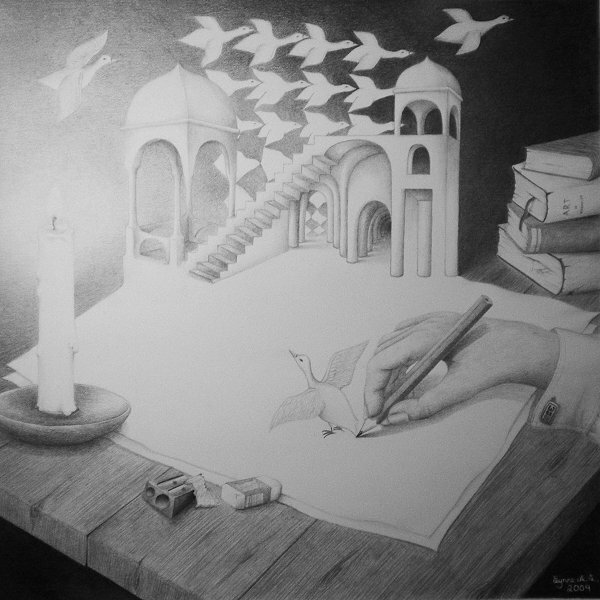 The image was found at http://heart-4-art.deviantart.com/art/Escher-s-world-144545120.